South Korea is emerging as a popular medical tourism destination, as people from many western countries flock to this place seeking quality healthcare services at affordable prices. 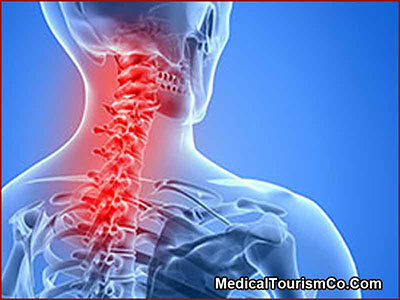 Medical tourists looking for low-cost treatment of their spine problems may consider spine surgery in Korea. According to September 2009 research by RNCOS, medical tourism in Korea is growing at an impressive rate. The research titled “Emerging Medical Tourism in South Korea” revealed that Medical tourists prefer South Korea not just for affordable treatment costs, but also for its advanced technology and good healthcare infrastructure. Professional teams at a top-notch facility in South Korea offer spine surgery at steeply discounted prices, which are way lesser than the treatment costs in countries like the US, UK and Australia. Spine surgery in South Korea could help a medical tourist save thousands in treatment costs. 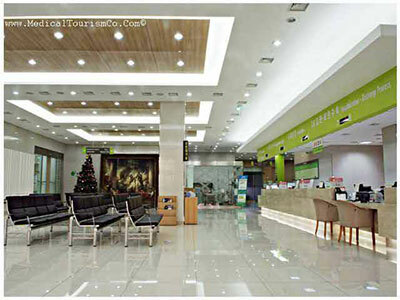 Medical treatments in Korea can be combined with nice tour packages. International tourists normally enter the country through Incheon International Airport, near Seoul, which is counted among the best airports in the world. Seoul’s many beauteous attractions and excellent transport links have made it the top destination in the Republic of Korea for foreign visitors. The capital city is a lively, sophisticated, commercial center, but has managed to preserve many tokens of the rich Korean heritage. The UNESCO-listed royal residences make for the top attractions in Korea. Seoul is a great place to catch a glimpse of Korea’s vibrant performing arts. You may also collect some unique souvenirs in the traditional shopping area of Insadong. To assist medical tourists in finding an affordable treatment for their spine troubles, Medical Tourism Co has networked with pre-screened quality healthcare resources. Spine treatments in Korea are offered at a JCI accredited hospital, which works to provide quality healthcare services to all its patients. It is the first Korean specialized hospital to be accredited by Joint Commission International. The U.S. Medical Travel Quality Alliance (MTQUA) has selected it as one of World’s Top 10 Hospitals for Medical Tourists. The hospital has a complete range of sophisticated, state of the art imaging, and diagnostic equipments. The surgery is performed by highly qualified surgeons of Korea, who have international training and experience. The surgeons of this hospital have developed a unique ‘Minimally Invasive Spine Surgery Technique,’ which technique helps the patient in cutting down the days of hospital stay and recovery time. The size of incision is small, scars are minimal, and chances of complications are significantly reduced. Pre-surgical screening of patients will be based on a medical questionnaire / symptom survey form shared by the hospital. The patient will also be required to share their MRI, CT, and X-ray scans to help the surgeon in analyzing the patient’s health status and determining his qualification for the surgery. The cost of spine surgery in Korea is estimated to be far lesser as compared to the US, Canada, UK and Australia. Medical Tourism Co endeavors to offer quality healthcare to its clients, and to help them plan a safe medical trip.